What Happens To The Tea Party After Election Day? Activists insist the movement will find its stride after the midterms. They plan to put Tea Party-backed members of Congress on notice that they risk losing support if they go against the movement's agenda. And some GOP senators may be in danger in 2012 if they don't embrace the push for smaller government. 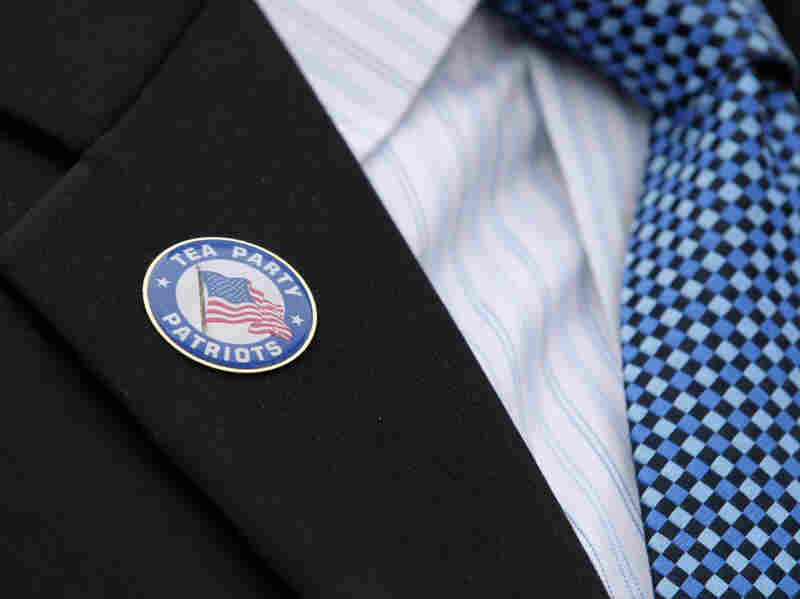 What Happens To The Tea Party After Election Day? No other group has had more of an impact on this year's elections than the loose collection of organizations known as the Tea Party. But what happens to the anti-big government, anti-deficit, anti-Obama insurgency after Election Day? "After Nov. 3, what you see is the Tea Party really get into gear and really find its stride," says Mark Meckler, the cofounder and national coordinator of Tea Party Patriots. One of the many events Meckler and his 2,800 chapters are planning is a summit of Tea Party-backed members of Congress. There's just one catch: Only freshmen will be invited. "Our intent is to hold a meeting, shortly after the election and before the incumbents get their hands on these folks," he says. "Because we want to let these folks know a few things, the freshman class. No. 1, we want them to know that if they go to D.C. and they do what they are elected to do, that we have their back. ... No. 2, we want them to know that if they don't do the right thing that we're not going to stand with them." Get NPR Political Editor Ken Rudin's forecast for House, Senate and governor races at our Election Scorecard. And that's no idle threat, as the Republican incumbents who were already defeated by Tea Party challengers can attest. One of those successful challengers is Utah Republican Mike Lee, who defeated incumbent Sen. Bob Bennett and is assured of election next week. Lee says when he gets to Washington, he'll be voting the Tea Party agenda, including "no" votes on tax hikes, deficit spending and raising the debt limit. "Our current debt is a little shy of $14 trillion. And I don't want it to increase 1 cent above the current debt limit and I will vote against that," he says. Even if it leads to government default and shutdown? "It's an inconvenience, it would be frustrating to many, many people and it's not a great thing, and yet at the same time, it's not something that we can rule out," he says. "It may be absolutely necessary." Some of the Tea Party's demands could cause headaches for the Republican leadership. While they're realistic about what can and can't happen without a veto-proof majority, the Tea Parties want what they call "Obamacare" completely defunded, if not repealed, and -- as South Carolina Sen. Jim DeMint told Fox News last week -- an end to earmarks. "I don't want to be in Washington another six years and watch the Republican Party betray the trust of the American people again," DeMint said. "I mean, we had the White House. We had a majority in the House and the Senate and we voted for more spending and more earmarks. Most of our senior members seem to be focused on taking home the bacon. I'm not going to be in a Republican Party like that." DeMint bucked his own party leaders to endorse many of the Tea Party candidates -- now he's calling for the GOP leadership in the Senate to remove themselves from the appropriations committees. So far, the leadership hasn't embraced the idea, but Tea Party Patriots' Meckler thinks the GOP leaders in both the House and Senate should be doing a lot of things differently. "We want them to let Boehner and McConnell and the others that have been in Congress for a while know that there's essentially a new sheriff in town and that sheriff is the American citizen," he says. He adds that his personal impression is that "the existing leadership in neither house understands what they're about to face. This is a new political paradigm. The ground has shifted out from underneath these people." Democratic strategist Geoff Garin is watching this shift from the sidelines -- with some wistful satisfaction. "John Boehner and Mitch McConnell are going to be riding a tiger and they're going to be hanging on for dear life, hoping not to fall off and get eaten up by the Tea Party," Garin says. "Mitch McConnell has to be looking over his shoulder at Sen. Jim DeMint these days." DeMint has said repeatedly he has no plans to challenge McConnell for Senate leader -- but on Fox News he did predict challenges in 2012 to those Republican senators who fail to embrace an aggressive push for smaller government. "There's no doubt about it. And they may be on the chopping block in 2012, if they're not this time," he said. That could include Indiana's Richard Lugar, Maine's Olympia Snowe and Utah's Orrin Hatch -- all up for re-election in 2012. Meckler says his grass-roots network is ready. "I think it's being talked about right now. I think the ground is being prepared. We saw it happen in the current cycle and I don't think there's any indication that it's going to go away," he says. "I can just tell you that if folks aren't voting for fiscal responsibility, if they're not voting to cut the size and scope of government, they're going to be targeted by local Tea Parties in their states." The targeting may be about primaries in 2012, but it's likely to affect Republicans' votes in Congress -- and their willingness to cross the aisle -- much sooner.